I got a taste of Belgian surrealism this week when a cloud of giant bubbles drifted down on my path while I was out for an evening walk in Mechelen. 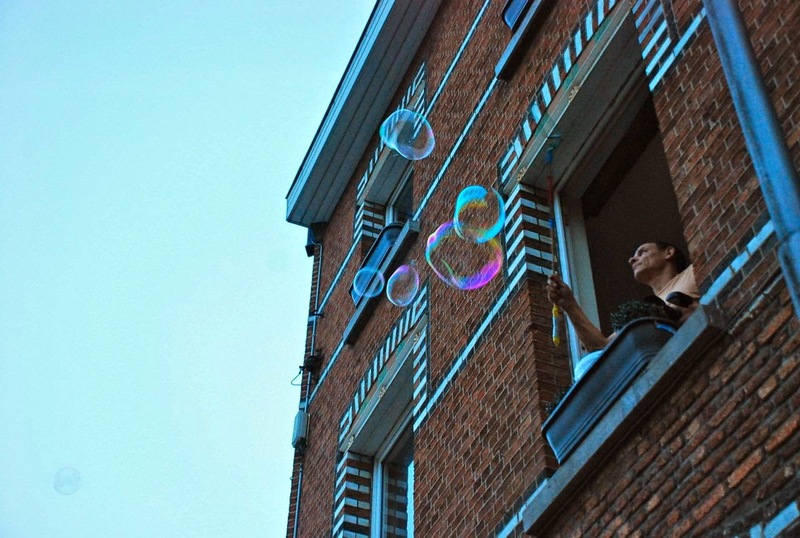 I traced the bubbles to their source, a man named Bart who was making them from his second-story window and then taking pictures of his creations as they floated away into the faded blue sky. "Do you have a tripod?" "Ya ever take pictures of fire?" "Ah man, we gotta do that!" he said. 'Reverse Robin-Hoodism' - the belief that economic success depends on being nice to the rich, who won’t create jobs if they are heavily taxed, and nasty to ordinary workers, who won’t accept jobs unless they have no alternative. This comes from this great NYT article by Paul Krugman, in which he argues that adults in their prime working years (25 to 54) across Northern Europe are much more likely to have jobs than their U.S. counterparts.